Innovative, impactful student learning often takes planning and funding. As educators, we’re used to tackling the planning, but where do we get the funding to grow as professionals and offer new opportunities for our kids? The NEA Foundation funds public school educators to develop leadership skills and improve student achievement. “They look to fund projects that improve student learning, critical thinking and problem solving,” said Stephanie Dege, recent NEA Foundation grant recipient and ISTA member. Dege wrote about her experience applying for a Student Achievement Grant in the summer Advocate. 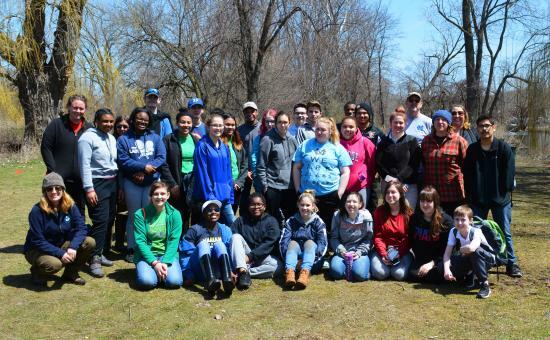 Through the NEA Foundation, she funded the Michigan City High School Wolves Environmental Restoration Team, a stewardship team partnering with the Michigan City Parks Department. Explore the grant opportunities through the NEA Foundation. Application open. Three application deadlines throughout the year – Oct. 15, Feb. 1 and June 1. Stimulates students’ curiosity and excitement about learning and helps them become successful 21st-century citizens. Provides funding to thousands of educators, enabling them to develop their professional practice to improve student learning. Increases access to global education professional development opportunities for K – 12 public school educators.